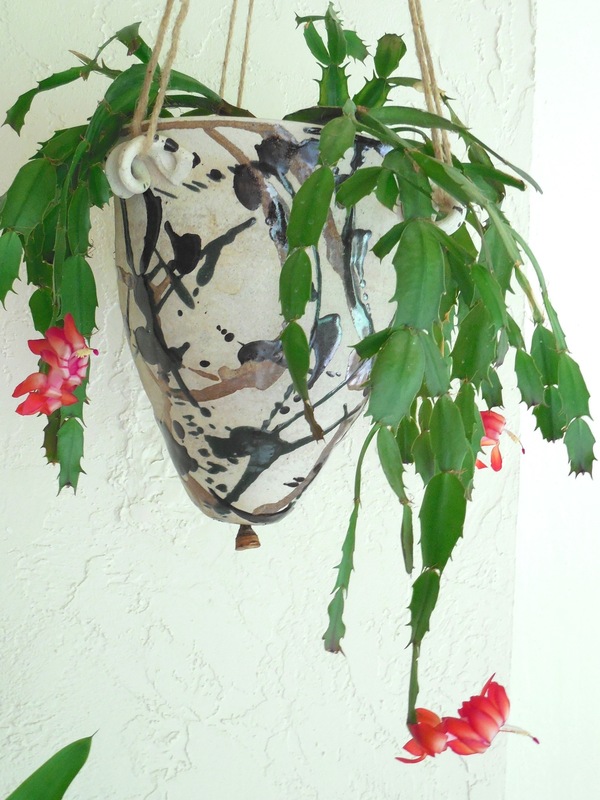 I picked up starts for Christmas Cactus a number of years ago from a friend. A start is merely a ‘leaf’ from a plant. Not knowing anything about these, but that I coveted such a pretty flowering plant, I acquired ‘leaves’ from 4 separate and different colored flowering specimens. Needless to say, not all survived. But the ones that did take root have given me great joy, as they flower in the early winter when everything outdoors has ‘given up the ghost’ for the season here in the Pacific Northwest. 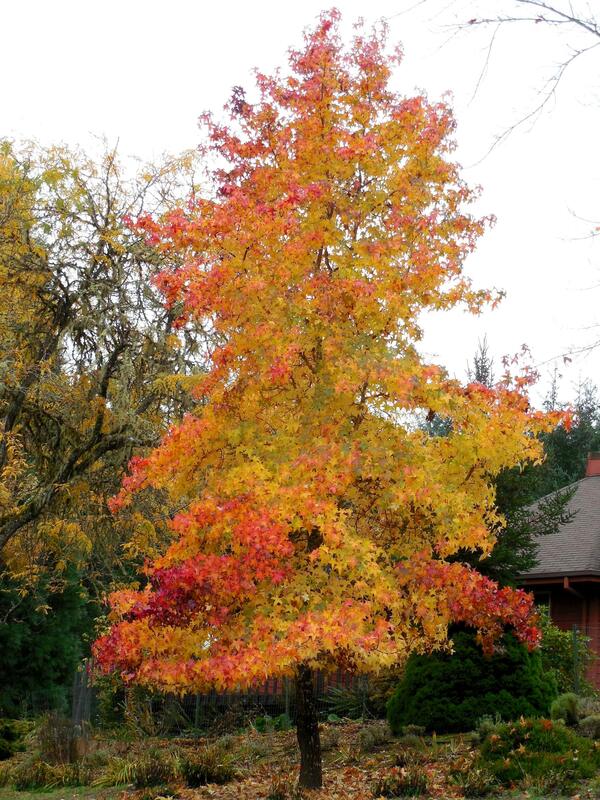 This sturdy plant hangs in a southwest facing room at the back of the house. Yes, I forget to water it sometimes, specially when I get busy outdoors in the warm season. Then I remember that this is a succulent and doesn’t mind drying out between waterings – as long as I don’t let it dry out too much! It does not want to be forgotten, just like the rest of us. A teeny-tiny bathroom is the home of this beauty. It was a challenge to photograph because there was so little room to move, and the incoming daylight was difficult to adjust for. I lowered the shade, but there is still strange colored light. This plant has definitely found its home. Its funny (to me) how similar plants fare so differently in various exposures, like in windowsills around the house. 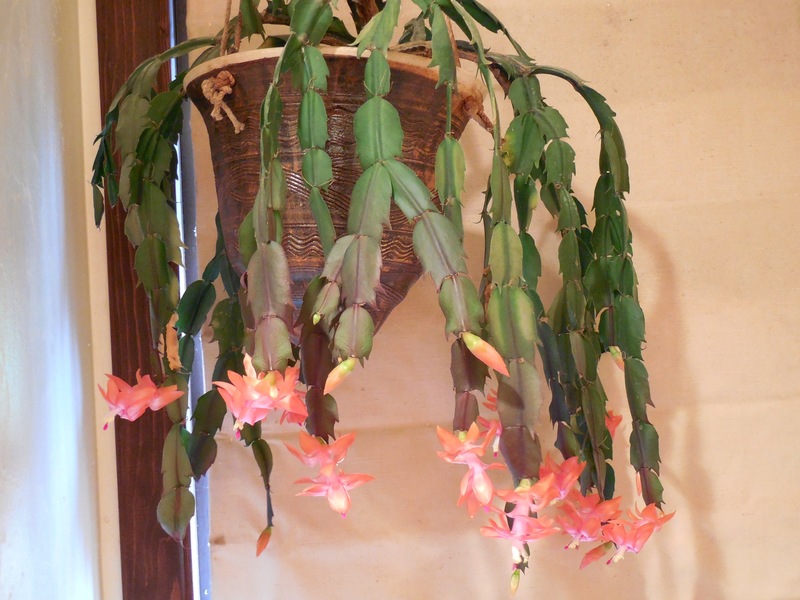 Categories: Uncategorized | Tags: cactus, christmas, flowering, hanging, plant, succulent | Permalink. 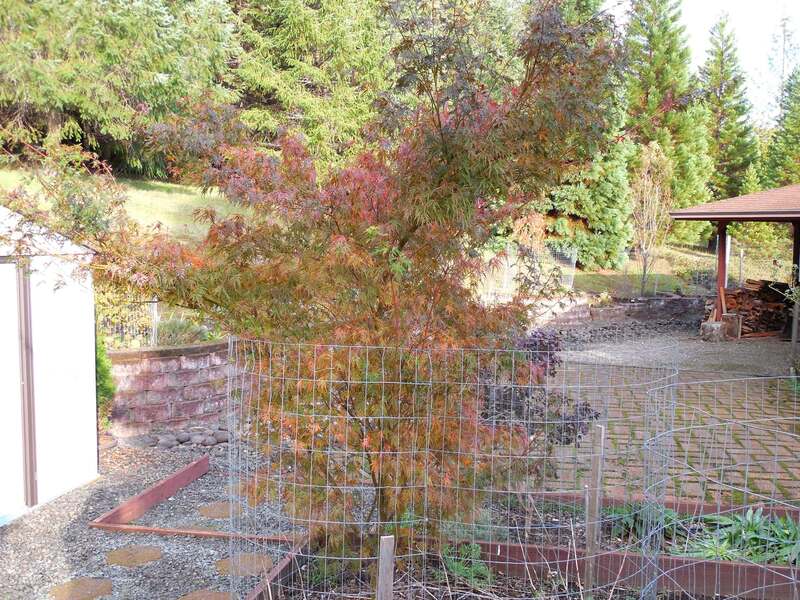 With camera in hand, I was looking at the changing colors of leaves on small and large plants. This miniature rose is so small, I mostly check to see if it is still alive. I was very surprised to see a flower – in November! There are still some large rose bushes blooming in town, but my home and gardens are ten miles away in the hills, at much cooler temperatures. 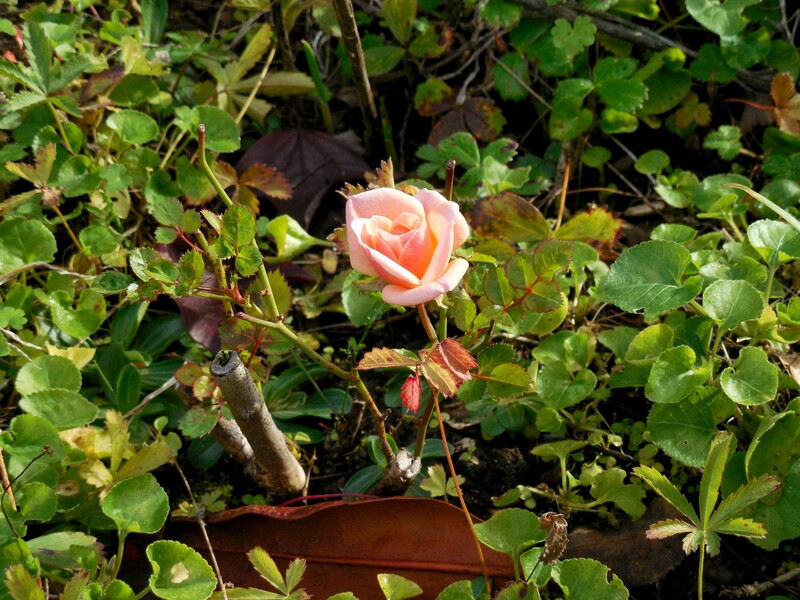 My larger rose bushes are long dormant and I do not expect to see any new growth until spring. A lot of rain was in the weather forecast, so as the sky clouded up, I cut my solitary tiny rose and put it in a vase. To keep things in perspective, this hand-blown glass vase is 1.5″ or 4cm tall. Or should I say it is 4cm short? It was a very cold day, and the house was relatively so much warmer, that I wondered how my flower would fare. Even the north-facing kitchen windowsill was not agreeable enough. By morning, the flower was about spent. I have run into this before, when I tried to bring a flower from this particular plant to the indoors. There must be something in its genetic makeup that is conditioned to cooler weather. 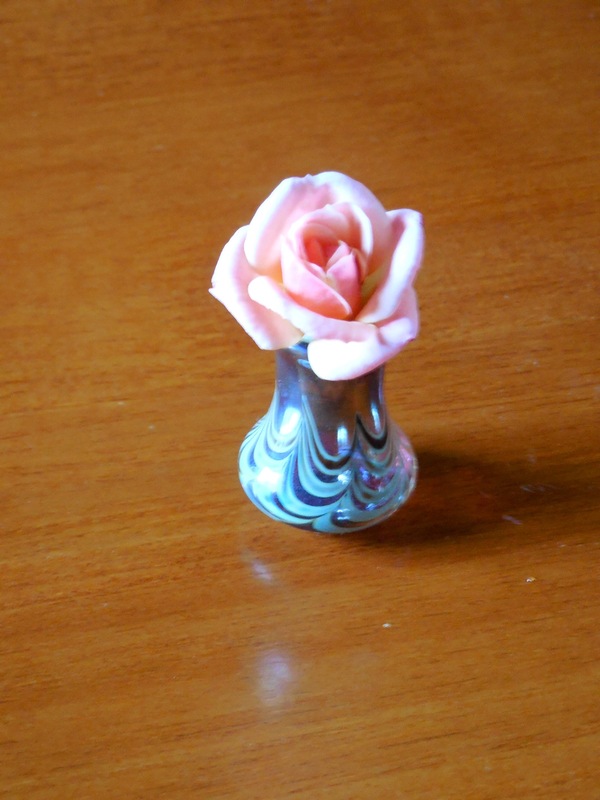 Categories: Uncategorized | Tags: glass, hand-blown, miniature, rose, vase | Permalink. I believe these flowers were waiting for rain and cool to start blooming. 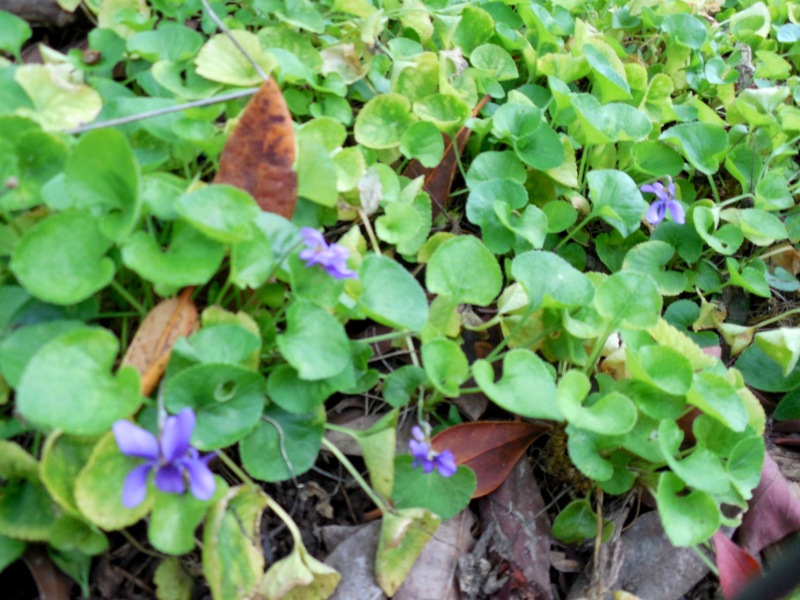 Violets must be very “tough cookies” to put out their flowers in the cool of winter. Much as I’ve tried to vase these blossoms, they just do not seem to like to live indoors. It must be too warm for them. 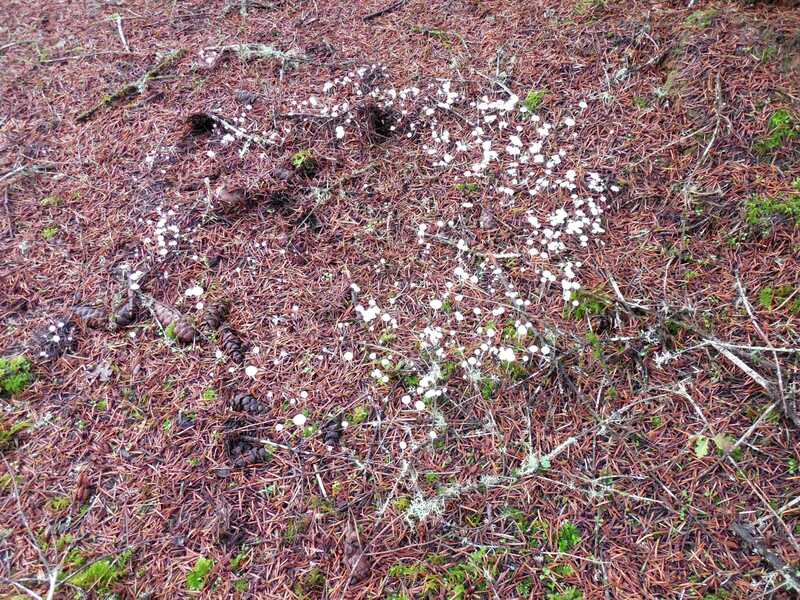 Even if it snows, these tiny flowers will bounce back as soon as the sun melts an opening in the ground. We should be enjoying violets until the heat of summer sends them dormant until the next rainy season. 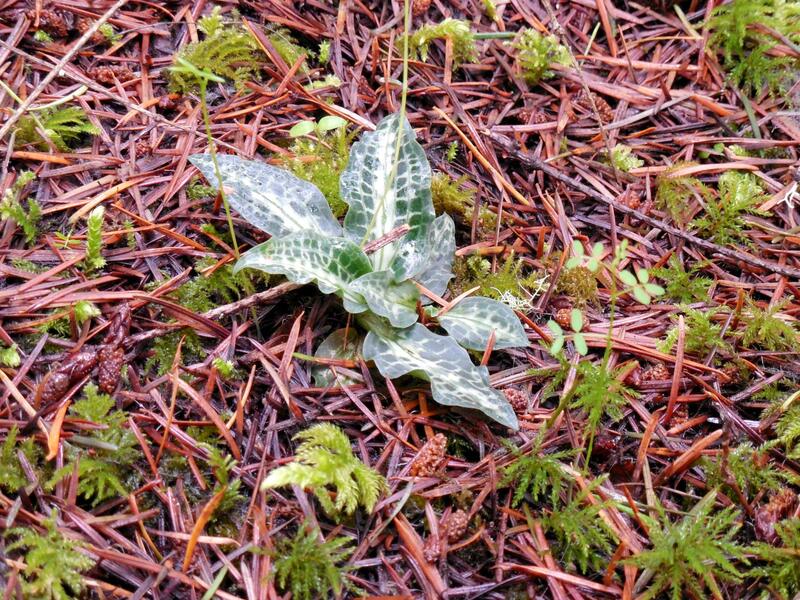 This fall, I have been moving around many plants, some of them surrounded by this ground cover. The little violet rootlets just get pushed back underground, and as long as it keeps on raining, they will reestablish in a new home. 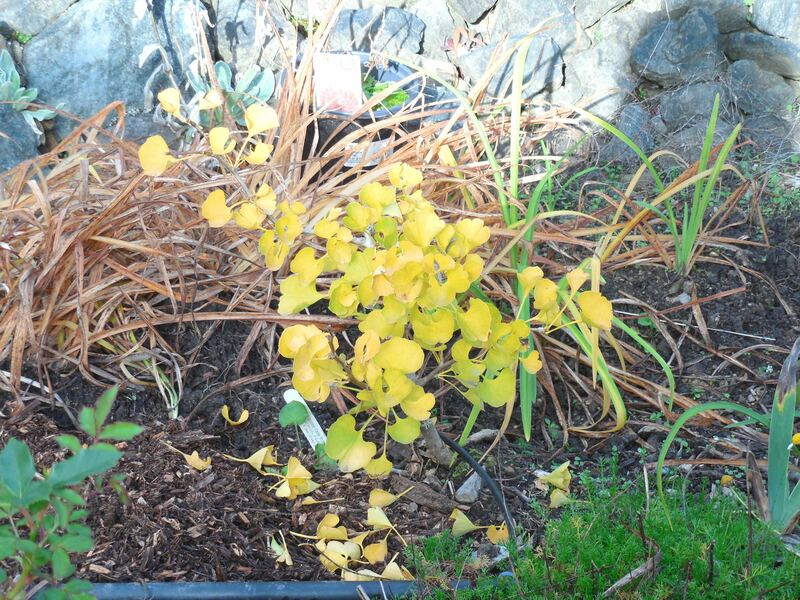 Categories: Uncategorized | Tags: flowers, groundcover, rootlets, tiny, violets, winter | Permalink. 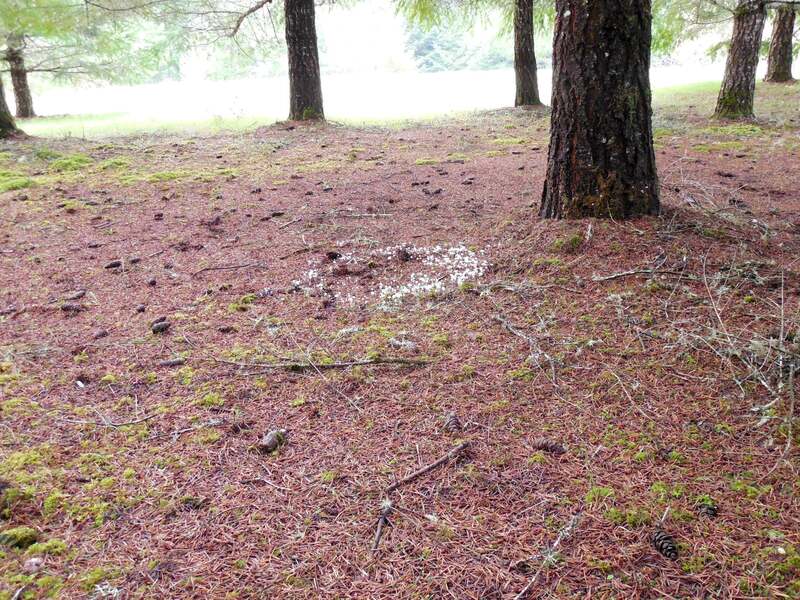 I found a fairy ring to share. Sometimes it seems as though you have seen something so many times, but when you want to show an example, one can be excessively hard to find. A close up of this ring shows it to be fairly symmetrical. 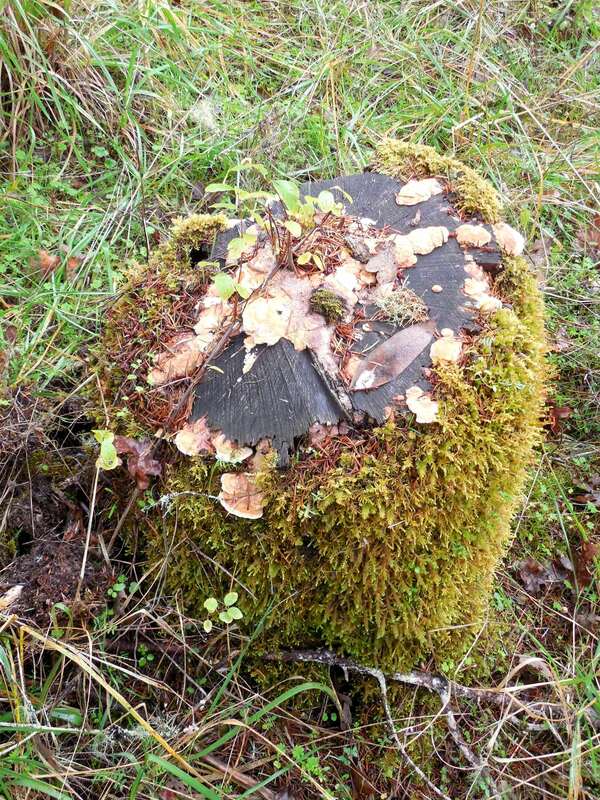 Although the mushrooms are not evenly distributed around the ring, but heavily weighted to one side. 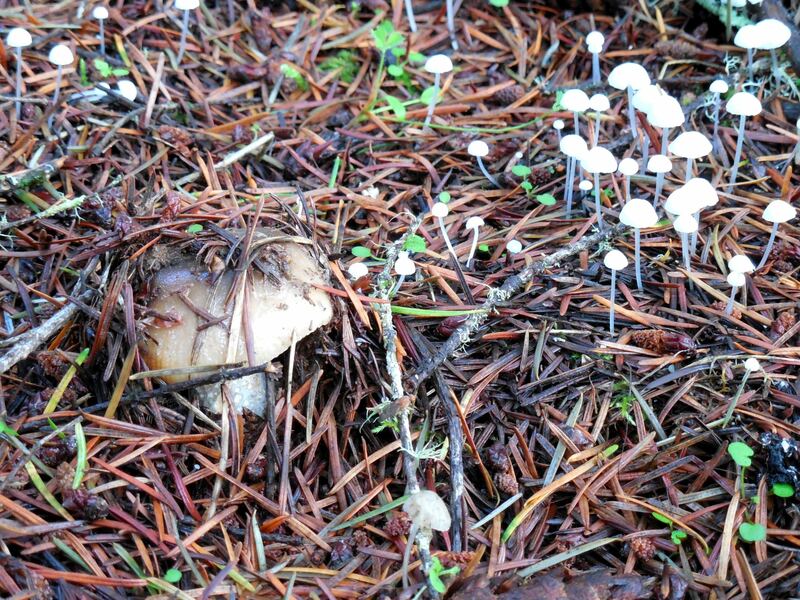 The bottom photo shows a different type of mushroom growing among the smaller ones in this ring. If you look at the middle picture very close, in the upper left corner, you might spot the relatively larger interloper pushing up through the fir needles on the ground. 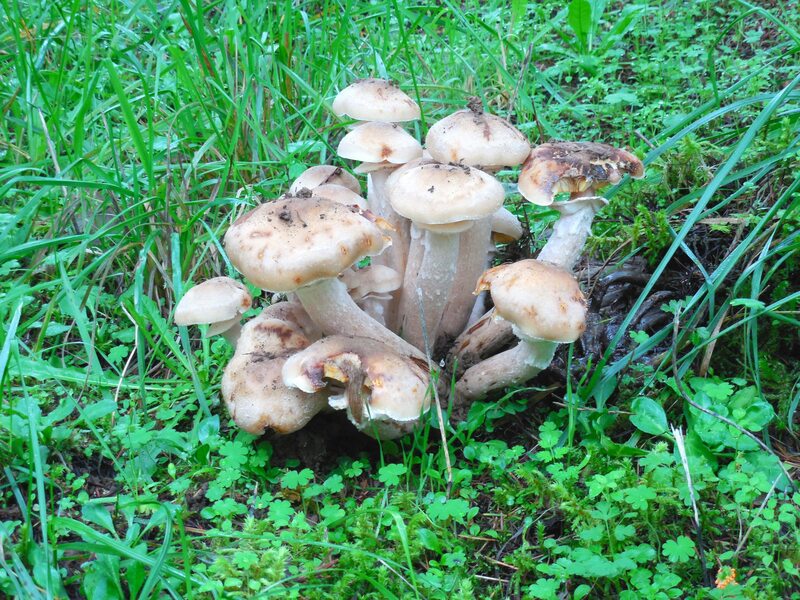 Categories: Uncategorized | Tags: dancing, fairy, floor, forest, mushroom, ring | Permalink.